The Delta Blues Museum mourns the loss of our friend Willie King who suffered a fatal heart attack on his 66th birthday. 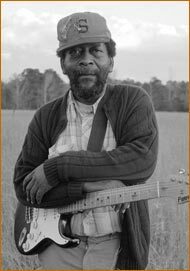 A master of blues, King performed at numerous festivals in the U.S. and Europe, including Clarksdale's Sunflower River Blues & Gospel Festival and the Highway 61 Blues festival in Leland. Born in Prarie Point, Mississippi, he often referenced his desire to 'get back to the woods'. Always kind and generous, he had great appreciation for traditions - music, cooking, woodworking, etc.. . and worked with youth to see that these traditions were not lost. His music often sounded eerily like that of Howlin' Wolf, and reflected his social and political beliefs. He sponsored the annual Freedom Creek Blues Festival on the banks of Freedom Creek near him home. King recorded for the Rooster Blues and RMA labels, a DVD for Visible World Films , and was a part of Martin Scorsese's The Blues documentary. The Delta Blues Museum mourns his loss and extends our sympathy to Willie's family.